Senate Republicans are at it again: Later today, Senate Majority Leader Mitch McConnell is expected to bring a bill that would ban abortions after 20 weeks to the floor for a vote. (The House version of the bill already passed last October.) 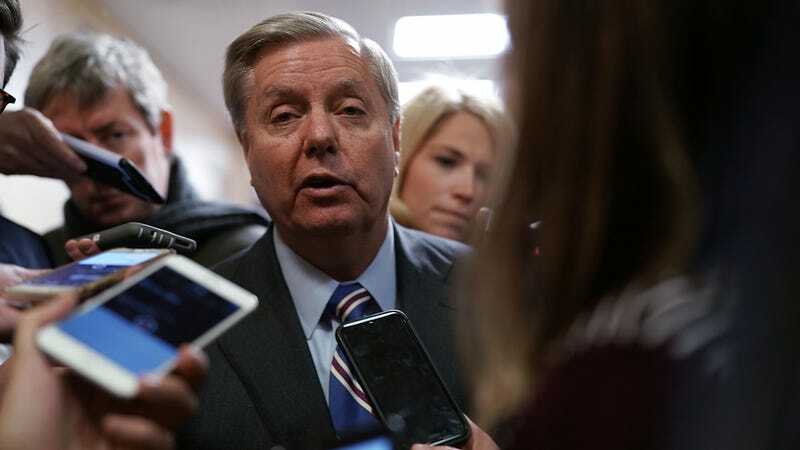 Sponsored by Senator Lindsey Graham of South Carolina, the “Pain Capable Unborn Child Protection Act” would not only institute a 20-week cutoff, it would criminalize abortion providers, who could face up to five years in prison for doing their goddamn jobs and providing women with much needed care. Let’s be clear about a few things: the 20-week cutoff is an arbitrary limit that has no basis in medical science. The claim made by anti-abortion activists and their champions in Congress that fetuses can feel pain at 20 weeks (hence the name of the bill) is simply not true. So what do these bans actually accomplish? According to the Guttmacher Institute, 17 states already have 20-week bans on the books, though Rewire says the number of states with the 20-week ban is 21. These restrictions, based on the experience of states that have enacted them, have just made it harder for people to access medical care, forcing people to cross state lines to obtain abortions and in doing so driving up the costs. Low-income women, women of color, and transgender abortion seekers, who are more likely to report that they waited to get an abortion because they either did not have insurance coverage or had to raise money to pay for the costs, are especially impacted. And while almost 99 percent of abortions occur before 20 weeks, those who get later-term abortions often do so because of severe, life-threatening complications with their pregnancy, as Jezebel reported in 2016. While the bill needs 60 votes to pass and is unlikely to reach that threshold, the decision to bring it up for a vote smacks of political opportunism. Anti-abortion groups are already planning to use the votes of Democratic senators in battleground states as part of their push to unseat them during this year’s mid-term elections.